Corporate Blockchains- China’s Crypto Giants and Their Blockchain Innovations Overtime – We help you think smartly about the crypto and blockchain landscape in Asia 5-10 years out. 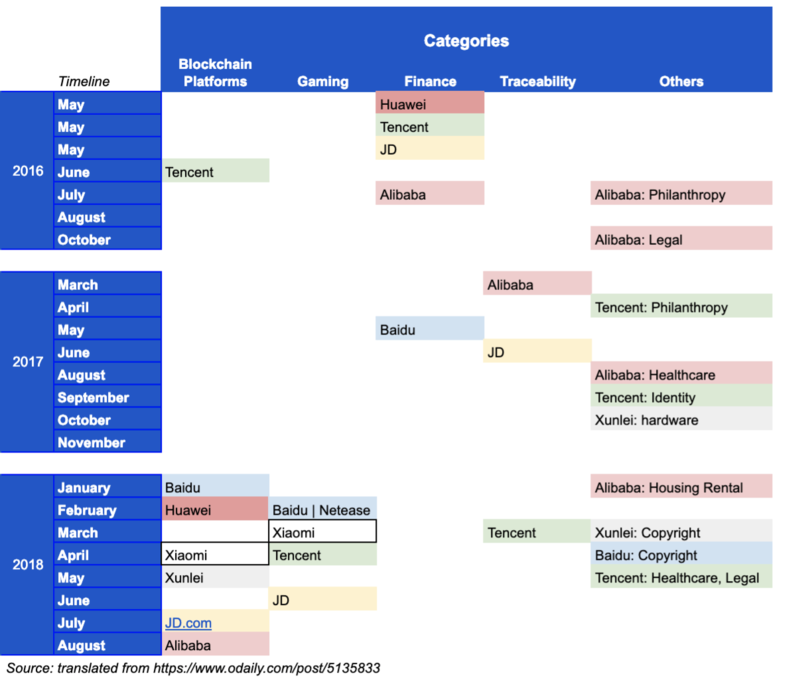 When we first started GlobalCoinResearch.com, one of the most widely read piece was our post on China’s True Crypto Giants- Tencent, Baidu, Alibaba and JD. In the post, we highlighted that given the rising importance of these large tech conglomerates in China, and the increasing reliance on them by the Chinese government for monitoring and tracking citizens' online footprints, large crypto innovations will likely be fostered by these large companies. To understand more about how China's political and economic dynamics work from a macro point of view, be sure to checkout our book recommendations for a thorough understanding. In light of the increasing corporate involvements in blockchain in the media such as Facebook, Square, while also seeing that Twitter and Apple are exploring blockchain use cases, we decided to revisit the blockchain innovations from the tech conglomerates in China.